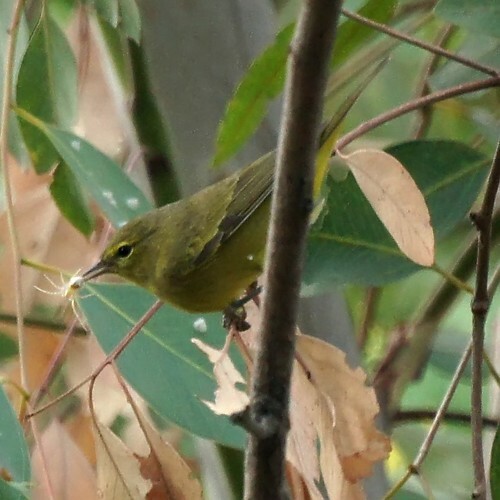 Chris and I were taking a morning walk through La Sierra University when we heard a loud squak. 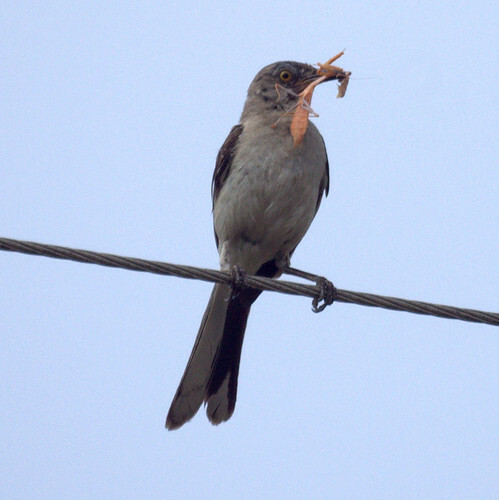 At first, we thought it might be a hawk or kestrel making the noise. 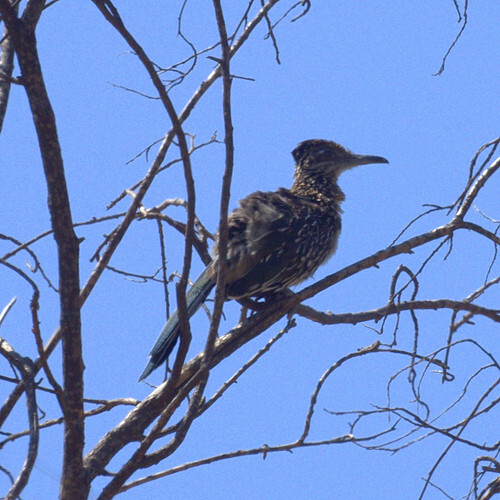 Chris spotted the "parrot" in a tree and I got a few photos. 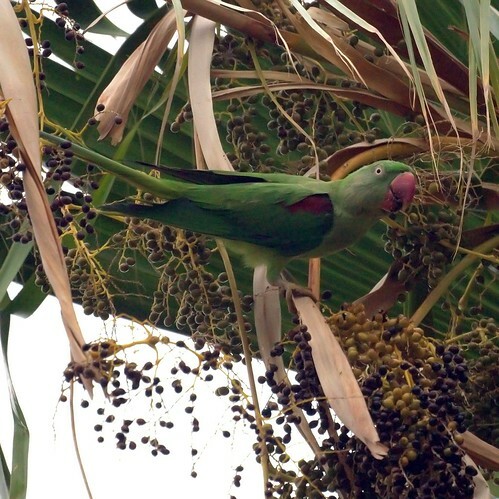 We are pretty sure it's an Alexandrine Parakeet. 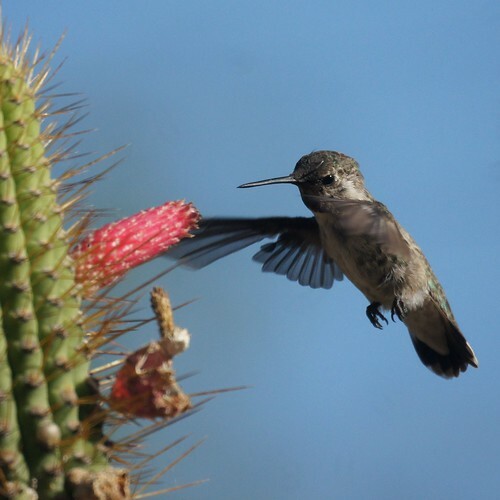 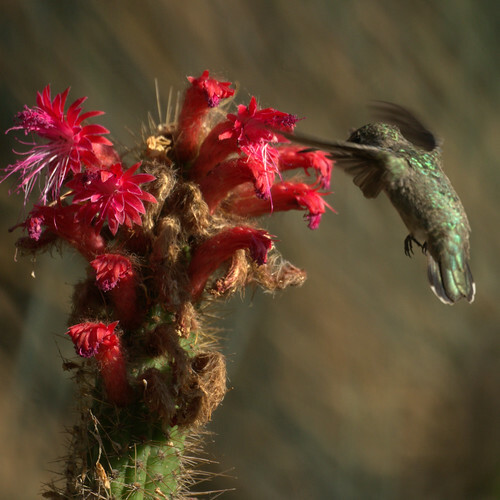 We need to get better at identifying the different types of hummingbirds and cactus.